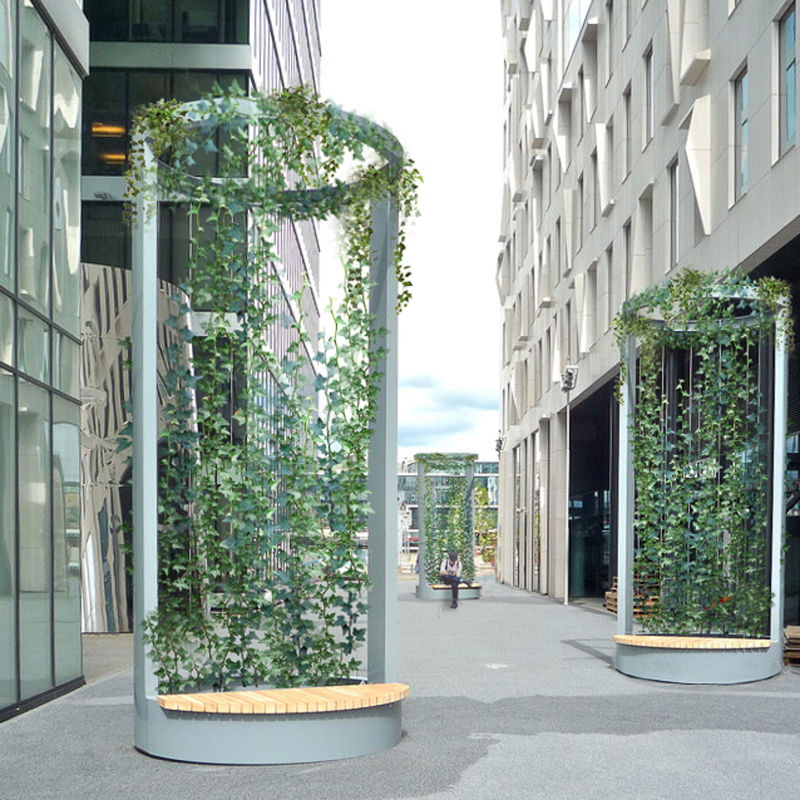 The Ivy Towers are green pillars for urban areas. 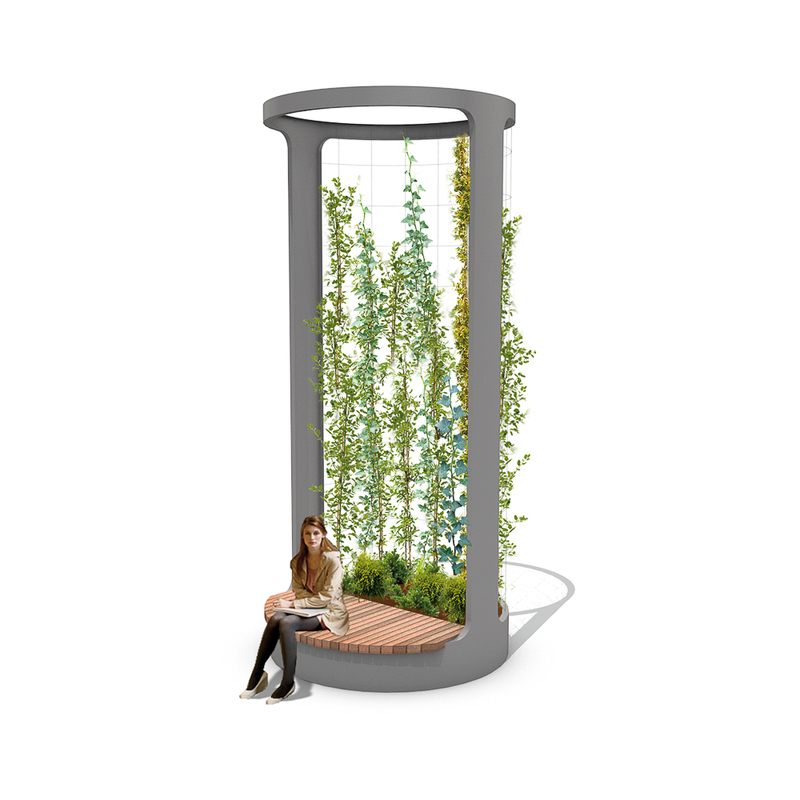 The cylindrical base is constructed of CorTen steel, 220 cm diameter. If desired it can be fitted with a semi-circular seat of Solid slats (7x7 cm-2.8”x2.8”) made of FSC® hardwood. 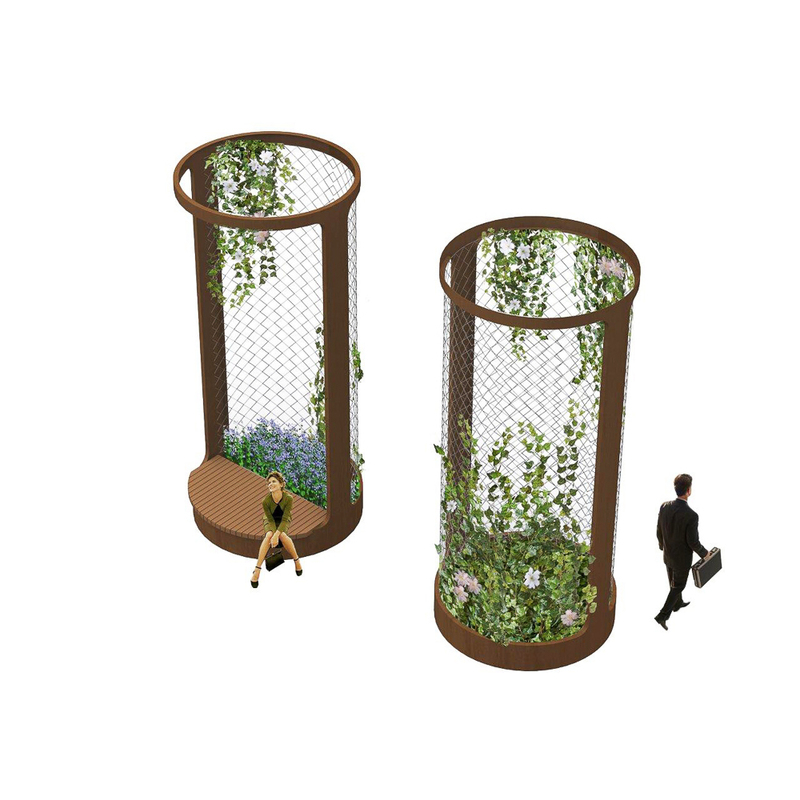 The Ivy Towers are a standard 500 cm tall and are fitted with wire mesh for climbing plants. 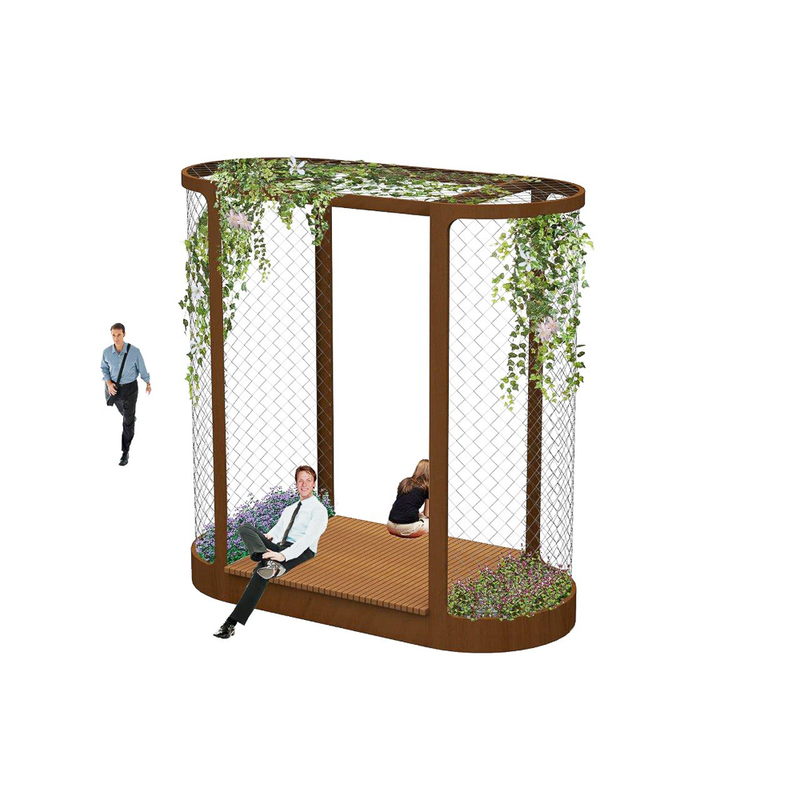 They are available in warm CorTen or coated in RAL colour. Consult your plant specialist to find the perfect climbing plant for your needs! Standard diameter of ca.220 cm | 87"
Standard height of ca.500 cm | 197"